Perhaps some of you are familiar with Ed Koch, who was mayor of the City of New York from 1978 to 1989. Mayor Koch was a popular figure who rode the subways of New York and stood on street corners greeting people with the slogan “How am I doin’?” In the midst of the many things that were happening in the city during those years, it was obvious that he was looking for affirmation from the crowds. After all, he was re-elected with 78% of the vote and was endorsed by both Democratic and Republican parties. People were pretty unanimous in saying that he had a big impact on the City of New York. Even when he was out of office, he continued to be a public presence in the city, taking on various roles as television judge, political pundit, movie critic, and overall good will ambassador. Although known as a very friendly but sometimes pugnacious personality, Mayor Koch seemed to have few filters between what he was thinking and what came out of his mouth. Mayor Koch’s question begged a self-evaluation. Although he probably asked the question because he was pleased with the job he was doing, he also opened himself up for negative comments. I say all this because “How am I doin” is a good theme for Lent. This is what Lent is all about- a time for us to ask ourselves (and God) 'How am I doin?' Of course, this opportunity for evaluation is not about politics, but rather, about being faithful to our Christian calling. As disciples of Christ, there are certain things that are expected of us. Very often, we have a chance to examine our own lives, especially when we present ourselves for the Sacrament of Penance. As we begin every Mass, we acknowledge our sinfulness. Lent presents us with a whole season dedicated to examining our values and our lives in light of our Christian and Franciscan calling. 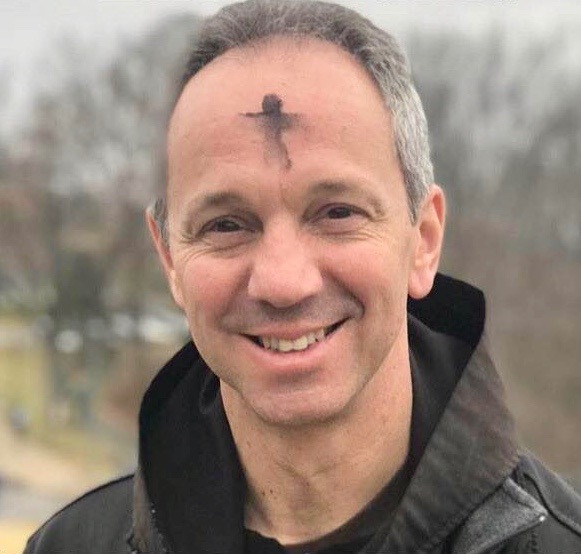 Perhaps a good exercise for us during Lent is not just to ask ourselves “How am I doin”, but also to seek the evaluation of others- fellow friars, family, friends and co-workers. Maybe a casual discussion around the dinner table with the brothers could lead to a deeper look into our Christian commitment. We have to admit that, very much like Mayor Koch, we may think we are doing a great job, but others may have a different opinion. God love you and bless you always. 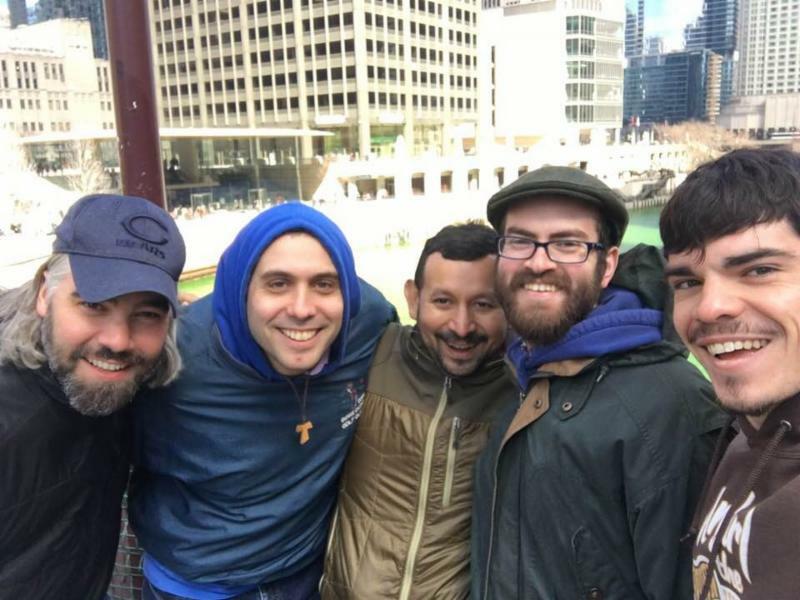 Things are going well for Friar Joshua Critchley, OFM, who is stationed in Chicago and is part of the inter-provincial post-novitiate program at St. Joseph Friary. Josh tells us that he had the opportunity on March 16 to attend an interfaith prayer service at a Mosque to remember the victims of the shootings in Christchurch, New Zealand that tragically killed 50 people. There were at least seven hundred people in attendance, a great example of people of different religions coming together to pray in a time of tragedy. 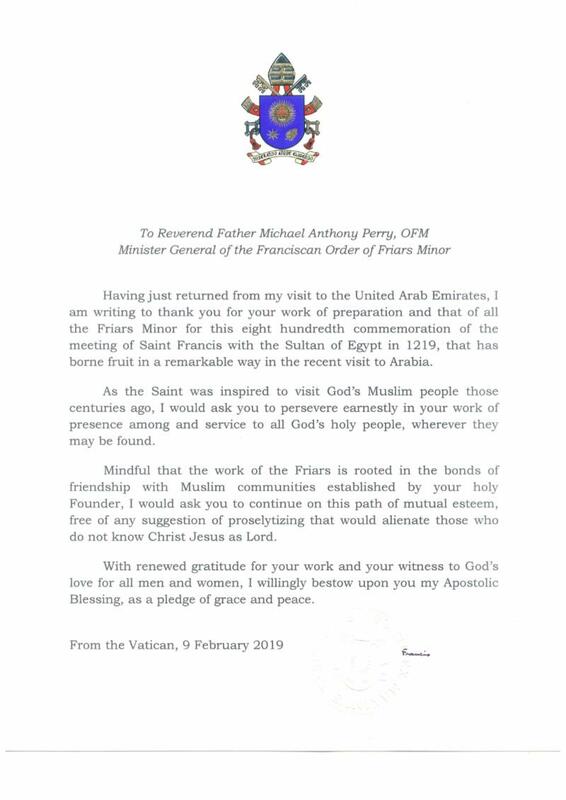 A representative of Cardinal Cupich, the Archbishop of Chicago, was also in attendance, and delivered a message on behalf of the Cardinal expressing solidarity with the Muslim community. 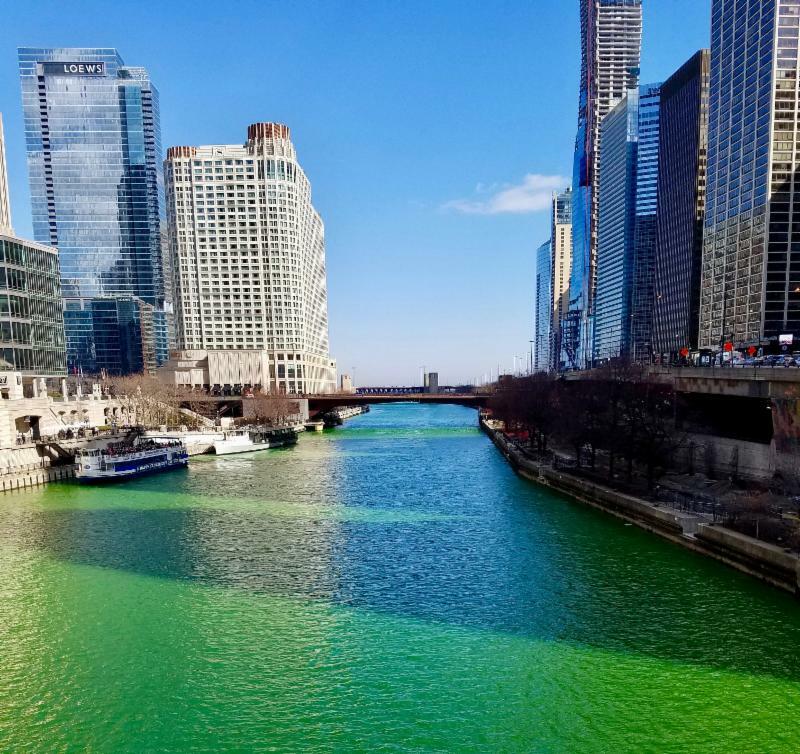 Josh and some of his brothers went to see the Chicago River turned green for St. Patrick's Day, and then joined the friars of the area at the Shrine Church of St. Peter's in the Loop in downtown Chicago for a fraternal evening. As Josh stated, it was a time of mourning and celebrating all in the same weekend. The brothers celebrating St. Patrick's Day in Chicago. Pictured are Friars Steve Kuehn, James LaGrutta, Juan Turcios, Josh Critchley, and Jason Damon. Fr. 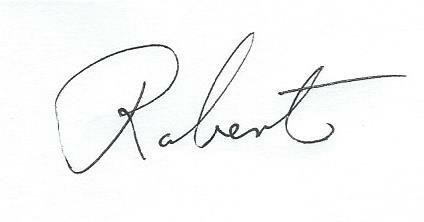 Robert Campagna, OFM, Provincial Minister, has been conducting his triennial visitation of the province since January. 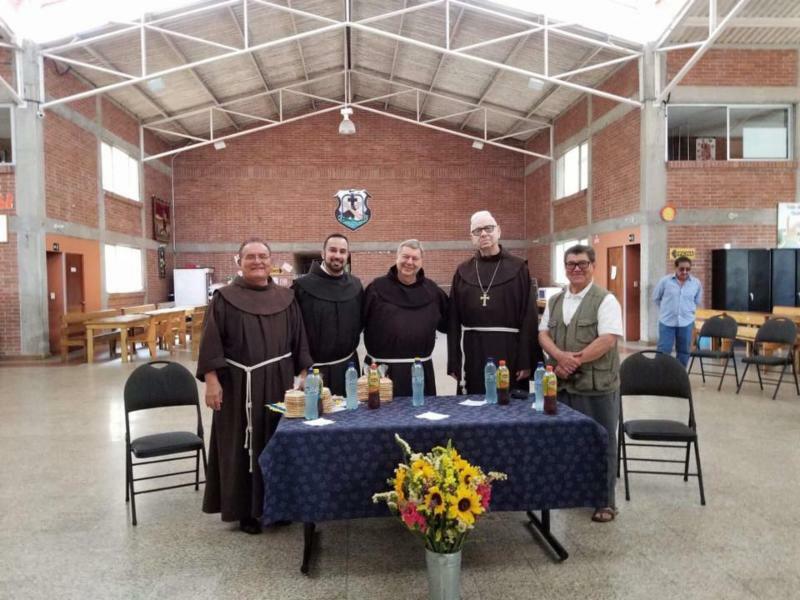 From February 19 to 26, accompanied by Friar Orlando Ruiz, OFM, he visited the friars of Honduras (Feb. 19-21), El Salvador (Feb. 22-23), and Guatemala (Feb. 24-25). Eleven friars were scheduled for visitation, as well as the various ministries staffed and served by our Province. 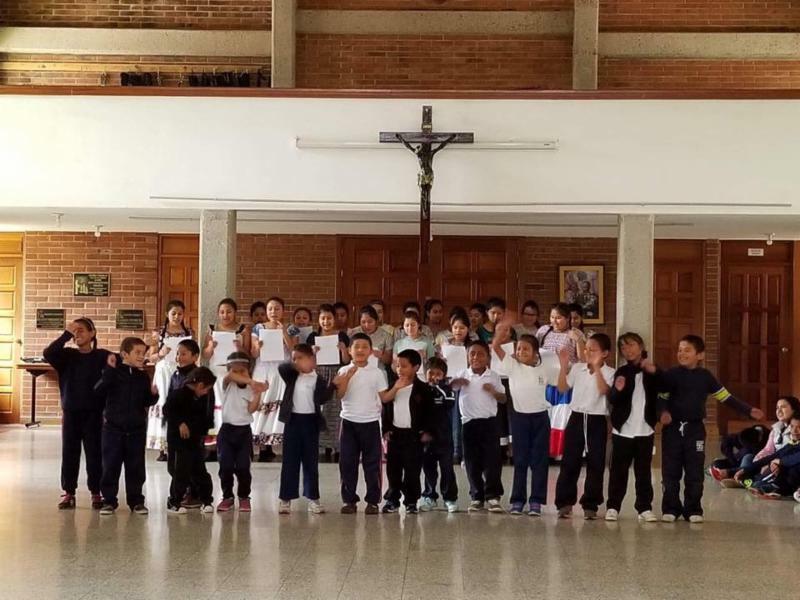 Below are some photos provided to us by Friar Orlando of the visitation: Agape de El Salvador and Iglesia Inmaculada Concepcion in Ataco, El Salvador, and Orfanato Valle de los Angeles in Guatemala. 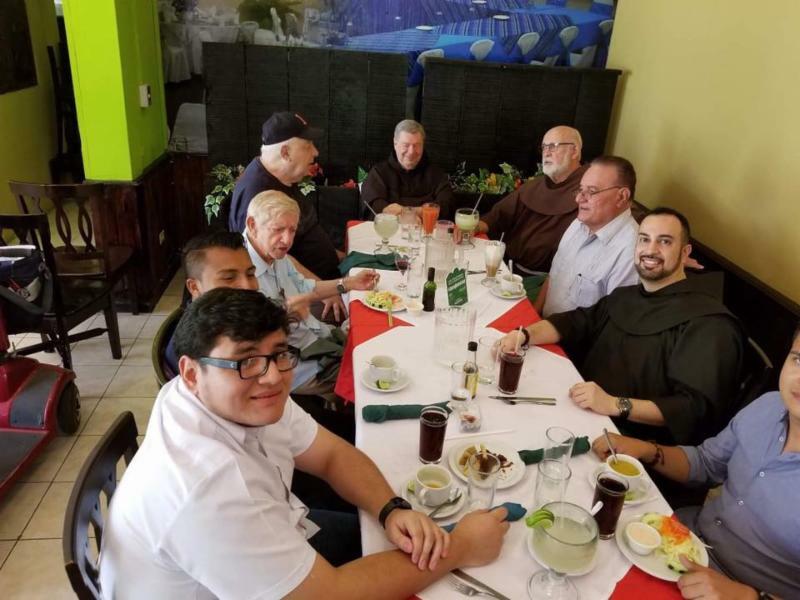 The students of Ave Maria University are given many opportunities to nourish and develop their faith. Besides the many chapels located In the residences on campus as well as other places for prayer, such as the Our Lady of Guadalupe Prayer Garden, the Campus Ministry program offers the noontime Angelus, Theology on Tap, bible classes and scripture sharing, an annual Vocation Fest with 30 religious orders and other groups providing information, marriage preparation for engaged students, as well as spiritual direction. 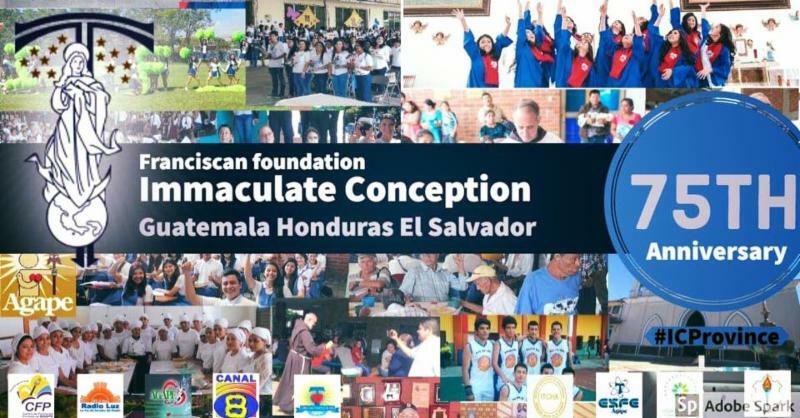 Students can get involved in foreign mission trips, working in orphanages, and other charitable works. 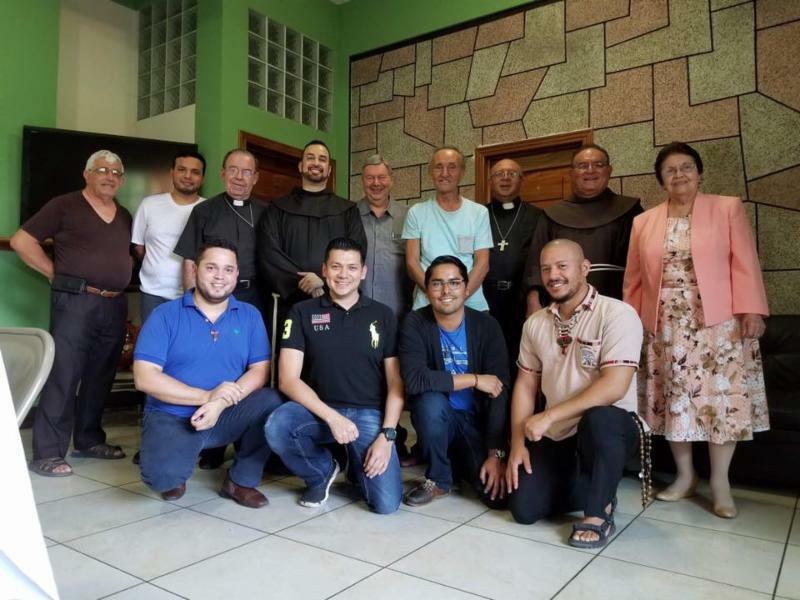 Ave Maria University proves that young people are indeed interested in religion and in fostering their faith, and preparing themselves for an active role in the Catholic Church. 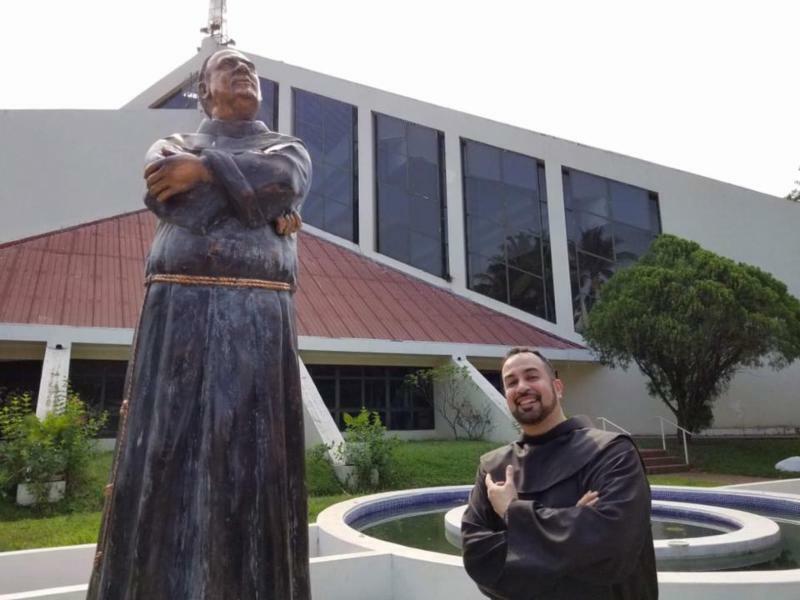 AMU Vocations Fest On February 27, Provincial Vocation Director Friar Conrad Fernandes, OFM, joined Friar Rick Martignetti at Ave Maria University in Florida for an annual event that the school calls Vocations Fest. 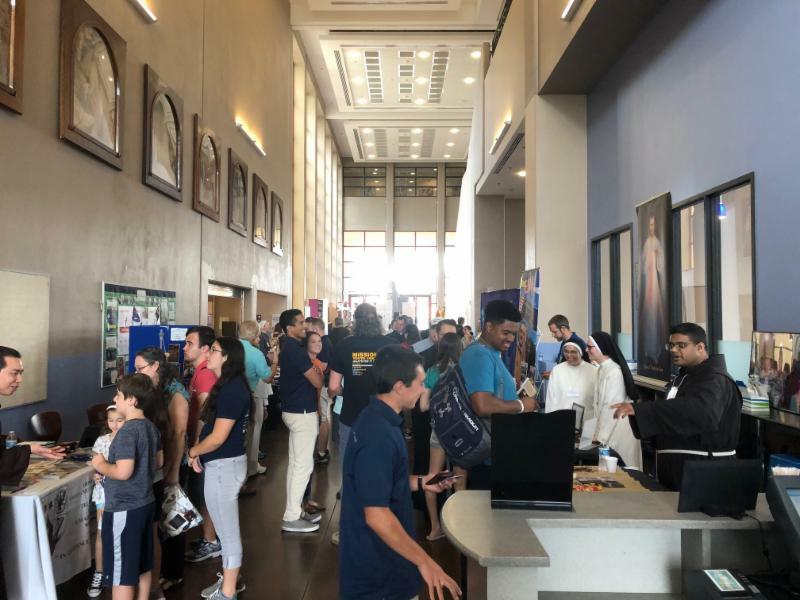 About 35 religious or lay groups set up tables in the Student Union to meet some of the faith-filled young men and women of AMU and help them discern what step might be next for them after graduating college. 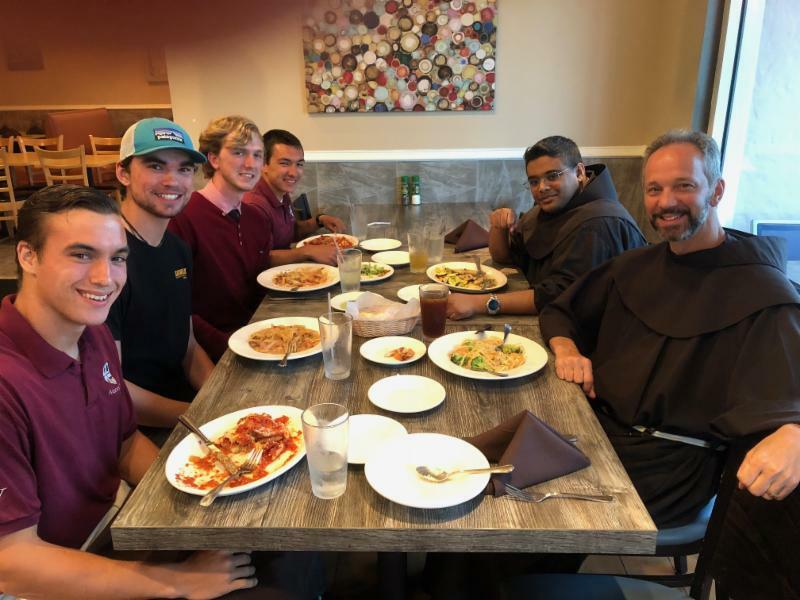 Rick has been serving as Director of Campus Ministry at AMU since last summer and says that about once a week a young man from this predominantly Catholic University will approach him wanting to learn more about Franciscan life. Friars Rick and Conrad with students at Vocations Fest. Friar Conrad and our Province's Vocations Booth. “Whoever receives this child in my name receives me.” ( Lk 9, 48) We all know this phrase in the Gospel which the Church usually interprets that the simplicity and pure hearts of children are something very close and dear to God. This Gospel echoes even louder in front of the manger of baby Jesus during the Christmas celebration. 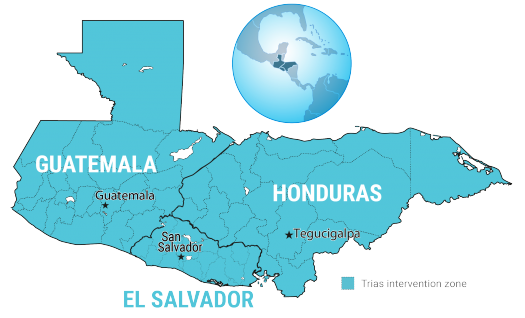 You may be aware that on May 15, 2019, hundreds of thousands of young people skipped school in 120 countries to participate in what may be one of the largest environmental protests in history. In the United States alone, protests were held in more than one hundred cities. How many politicians would listen to her voice? How many corporate CEOs would give ear and take her simple question seriously? However, it seems the youth of the world has heard and agreed to her angry but honest voice while the majority of the grownups ignored and indifferent to the cry of the Earth and the cries of the poor for their “business-as-usual.” On March 15, 2019, after seven months since Greta started her solo protest, her cry became the enormous voices of hundreds of thousand youth. 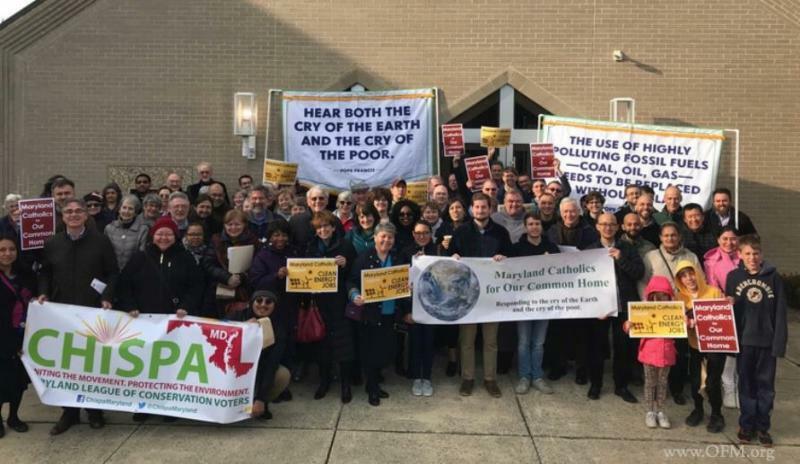 In Annapolis, MD, twelve Franciscan postulants of the US Provinces and several other friars participated in an event organized by Maryland Catholics for our Common Home and joined an ecological march along with many civilians. 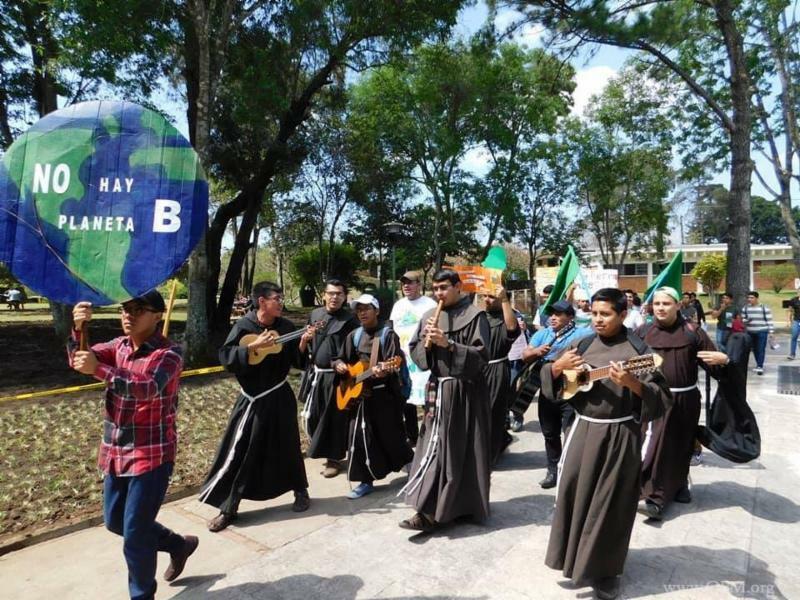 In Guatemala, the post-novitiate brothers participated in the global climate strike, joining the Care of the Common Home in a committed manner with students of the Rafael Landívar Jesuit University. 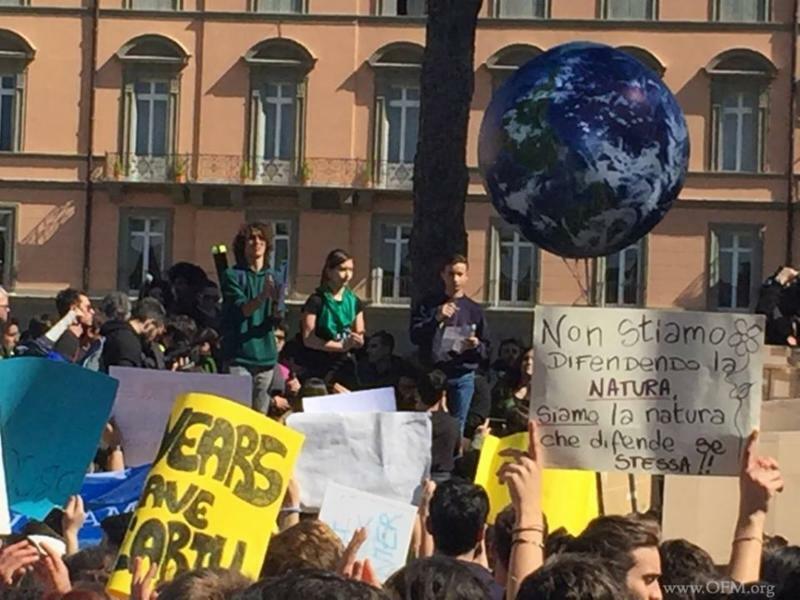 The JPIC Office in Rome has also participated in the public demonstration of the climate strike movement at Piazza Della Madonna di Loretto , Rome, on March 15. 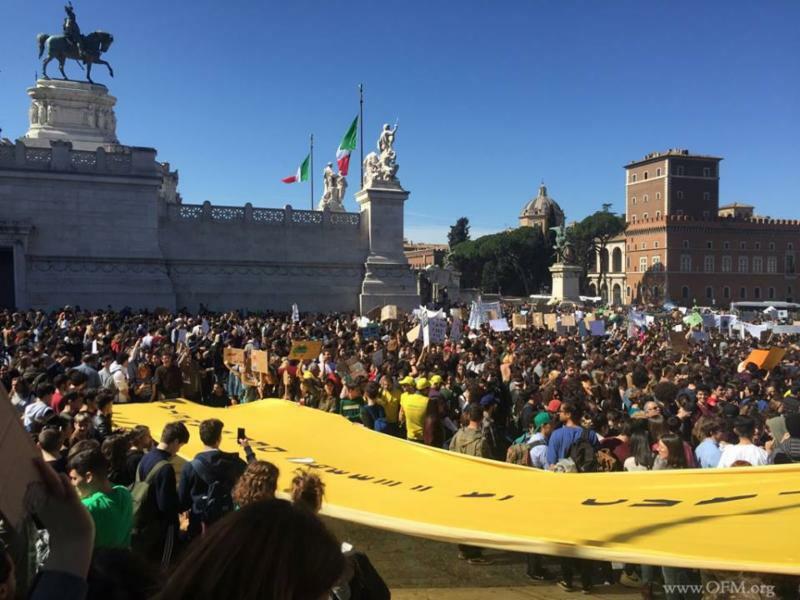 Around 50,000 young people have gathered for the climate justice demanding bold climate policies. The slogans were such as “Only a Handful of Years to Avoid DISASTER,” “We are Not Defending Nature. We are Nature Ourselves,” “We Want Our Future Back,” “The Next Flood Won’t Be Biblical,” and “Change the Policies, Not the Climate,” etc. Will the grownups in politics, international corporations, and religions now receive her question and change the course from the catastrophic future of humanity and its civilization? Can we Franciscans embrace the voice of the 21st-century prophet, Greta, as the message from the crucified Lord in the small chapel, San Damiano? Can we Franciscans confess the sin of ecological indifference and ignorance and commit ourselves to ecological conversion? If we didn’t do that or if we wouldn’t do that, where’s the meaning of our religious life? What is the meaning of the Gospel we proclaim? In the name of the Order of Friars Minor, I wish to express our heartfelt condolences and prayers to the families and friends of the people so brutally murdered today, to the Muslim community of Christchurch and of New Zealand, and to the countless people throughout the world who mourn them. 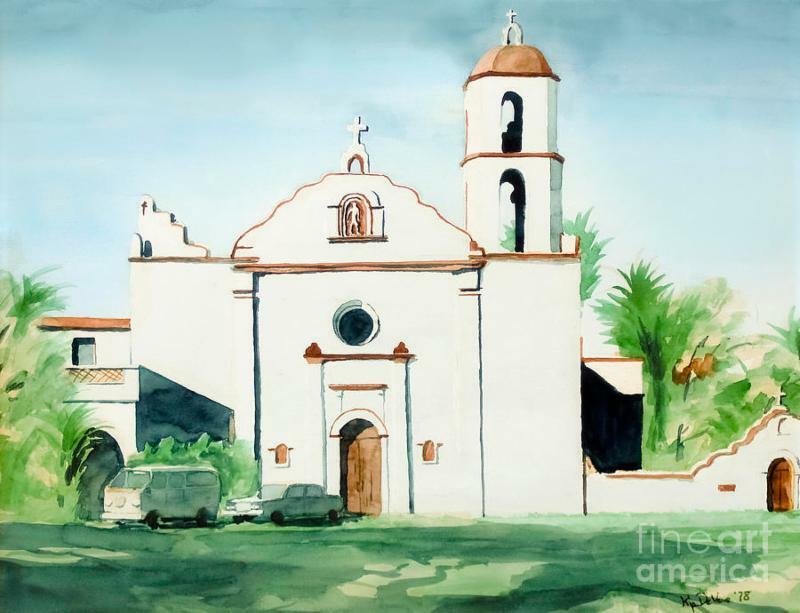 The University of San Diego (USD) and the Franciscan School of Theology (FST) announced on February 5, 2019, that the FST campus, currently located on the grounds at Mission San Luis Rey in Oceanside, CA, will be relocating to the USD campus in San Diego in the summer of 2019. 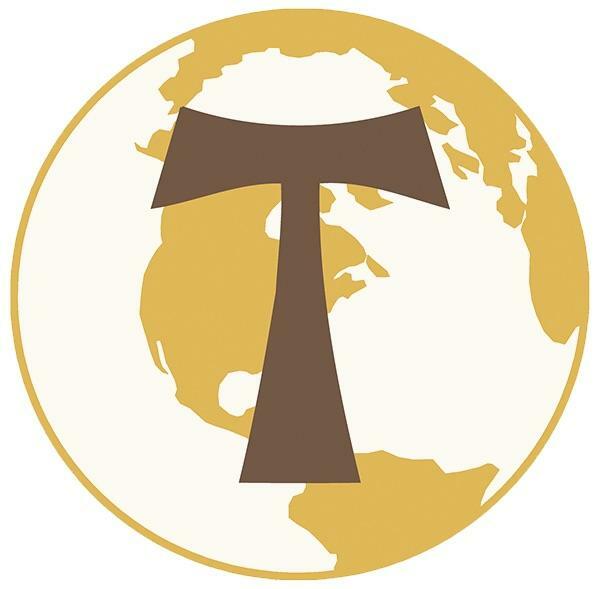 This July the Franciscan School of Theology will offer four sessions exploring themes on the Franciscan Social Vision in today’s Church and society. 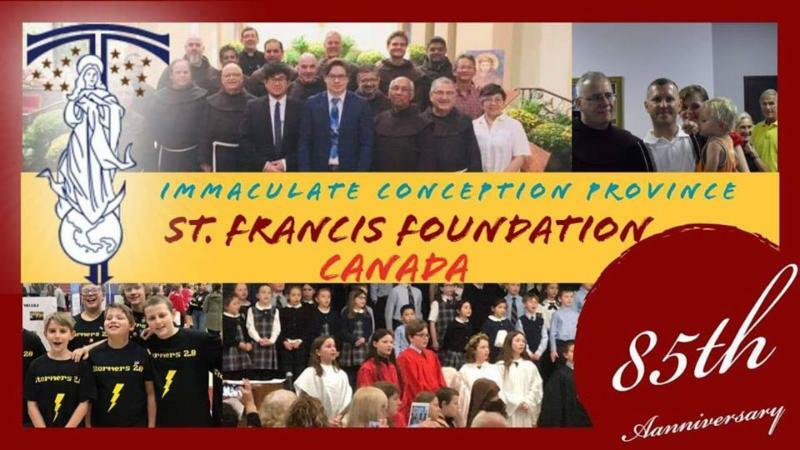 Topics will range from Franciscan poverty and peace-making historically and in the present day, the challenges and blessing of Catholic Family Life, and lay Franciscans’ special vocations of social engagement. P. David Dobbs, former friar and member of our province. 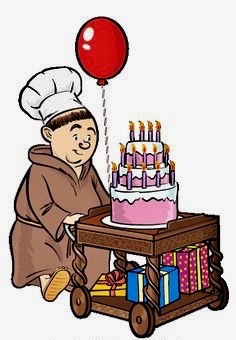 Please pray for all our friars, family, benefactors, and friends.